How is your practice different from others in your area? We are a private practice with 36 plus years of experience, not a clinic. We are located on a busy hospital campus in the Rochester area, so you cannot be distinguished from an employee, a patient, or a visitor. We are also a full service OB/GYN practice, so other patients whom you may encounter do not know what services you are seeking. Many patients who start off having a termination of pregnancy at our office become OB/GYN patients in our practice. Because of our long history of providing safe and private services, we receive referrals from private physicians from various locations. Will my procedure be done the same day? It is our goal to meet your needs. 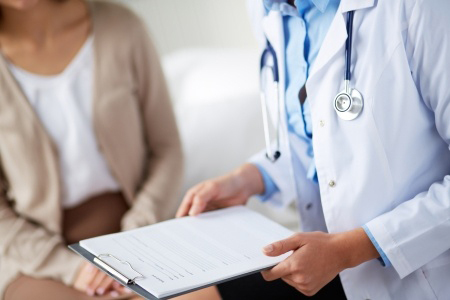 The medical abortion can always be performed on the first day you visit our office. The surgical abortion is a one-day procedure if you are less than 10 weeks. If you are between 10 and 12 weeks, it can be either a one-day or a two-day procedure at the request of the patient and the discretion of the doctor. If you are over 13 weeks, it is a two-day procedure. At your first visit, plan on 45 minutes to fill out a medical questionnaire, have an ultrasound, be counseled, and complete the procedure. We also have evening and weekend hours. Your follow-up visit is much shorter. When can I start birth control? We offer you birth control on the same day you come in. It is very easy to conceive after a termination of pregnancy, and we recommend starting birth control right away. We offer all of the birth control options currently available on the market. Absolutely! We are a private practice and follow all of the HIPPA laws. When you walk through our office doors, no one knows what services you are seeking since we are a full-service OB/GYN practice. We do not speak to anyone about your procedure without your written permission. Abortion is covered by most insurance plans in the Rochester area. We accept reimbursement from most area insurers, including Aetna, Blue Choice, Blue Cross and Blue Shield, Blue Choice Option, Medicaid, Preferred Care, Preferred Care Option, and many other plans. Insured patients should remember that they may have a cash co-pay. For patients without insurance, or who do not wish to use their insurance, cash payment is accepted at the time of service. Cost depends on the procedure being done as well as how far along the pregnancy is. We accept VISA, MasterCard, and Discover. We do not accept personal checks. We do not offer payment plans. The cost is a one time payment. People with unusual financial hardship may qualify for a discounted fee. In most cases the fee is all-inclusive, covering all services including a post-procedure appointment. A few extra services or medications require a separate additional fee. When is the latest you can perform an abortion? By New York state law we cannot perform an abortion after 24 weeks. Do you offer evening appointments after 5pm? Yes, we offer evening appointments. Please call (585) 271-3850 to schedule your appointment. All of our procedures by appointments only. Evening and weekend appointments are available by staff availability. In most cases we will be able to see patients the same day that they call or the next day. Some important information will be taken over the phone.